1989 NCAA Division III Champions. Front row: Marybeth Crawley, Judy Sparks. 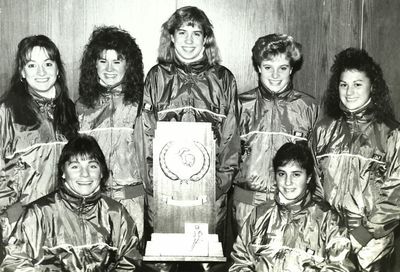 Back row: Mary Selleck, Tracey Swarts, Vicki Mitchell, Michelle Lauritzen, Michelle Franklin.